The federal taxpayers have spent over $5 billion to build Obamacare’s exchanges. Unfortunately for taxpayers, these investments have not delivered a good return and are ongoing. Despite the muddled launch of many exchanges, the federal government is still doling out grant money, giving out over $200 million to nine states last month. Fourteen states and the District of Columbia are running their own Obamacare exchanges and they all received federal grant money to help build them—a total of over $4 billion. California alone received $1 billion to set up its exchange. 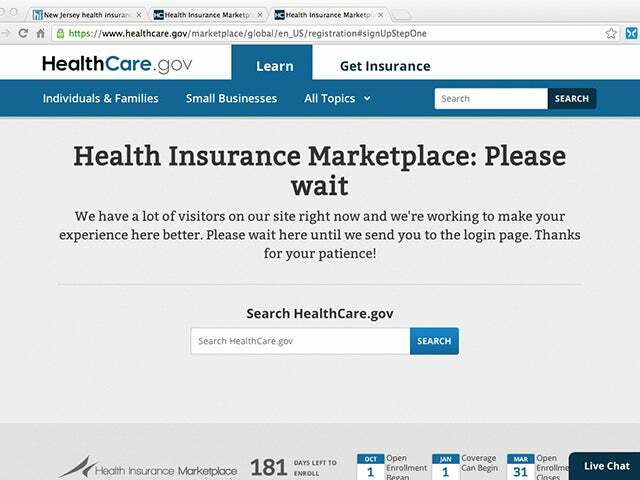 Many state-based exchanges have struggled with similar website problems as the federal healthcare.gov site, and some are still barely operational despite being four months into the open enrollment period. Consider Maryland and Oregon: The Maryland exchange, called the Maryland Health Benefit Exchange, has received $171 million in federal grant money but its exchange still isn’t functioning properly, causing enrollment difficulty and the site even listed an incorrect phone number to call for assistance.. The Washington Post reviewed “thousands of pages of previously undisclosed documents, including e-mails, internal reports, audits and court records, along with interviews with dozens of current and former contractors, state officials and others exchange documents.” It concluded: “The review shows that the creation of the exchange was dysfunctional from the start and that there were repeated missteps at almost every level.” Recently, Rep. John Delaney (D-MD), asked state officials how much it would cost for Maryland to switch to a federally run exchange and is awaiting a response. Should a state successfully switch to a federally run exchange, it is unclear whether the federal government will, or will be able to, recoup any of the billions in federal grant money that was wasted. While $4.9 billion in grants have already gone to the states, a recent Congressional Budget Office report estimates another $2 billion in grants to the states will be distributed in 2014. The billions of dollars wasted on building Obamacare’s exchanges are a prime example of both government waste and incompetency.